"The United Nations Human Rights Council adopted – yet again – a “defamation of religions” resolution. The text refers to Islam and suggests that it should be forbidden to criticize Islam. The council ought to change its name to United Nations Inhumane Wrongs Council. Human rights are to protect people, not ideas or religious views. Pakistan – which has a blasphemy law – has been taking a lead, supported by the 56 Muslim countries of the Islamic Conference. These Muslim countries are misusing the U.N. to legitimize blasphemy laws, and thus restricting freedom of speech and religion as well as press freedom. Approximately 200 Human Rights organisations from 50 countries filed interventions and petitions against this resolution. But the Muslim nations and other dictatorial countries voted for, whereas democratic nations voted against. The oppressive regimes won – freedom of speech lost. Some Muslims are offended by drawings of the prophet Mohammed, but seemingly find it non-offensive to attack embassies, burn churches, execute those who leave Islam, stone women who have been raped, kill film producers they dislike, or murder in cold blood priests and missionaries just because they reside in Muslim countries. We obviously have different views of what is to be deemed offensive. I propose that the U.N. Human Rights Council close down - or change its name to U.N. Inhumane Wrongs Council. " 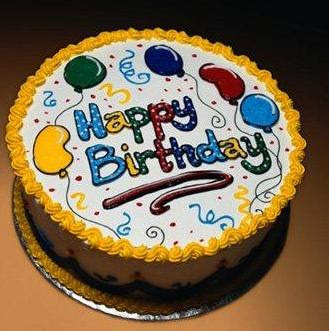 The first of April, one year ago we started our web-page, rupeba.se, in Swedish. Since then we have had more than 92.000 visits on rupeba.se. Our English page started the first o January this year, and we are grateful for Sven Ljungholm who is translating the daily devotions into English. If you have something you want to say, a testimony, a comment on things happening in the Christian sphere, we welcome you as Guest Blogger on our web-page. Send your contribution to info@rupeba.se. Our theological approach on this web-site is evangelical, based on the Lausanne declaration. "I have written and spoken for years about the dangerous trend in Europe where freedom of speech is being gradually limited. I am not alone. Rowan Atkinson, more commonly known as Mr Bean, has also expressed similar concerns several times*. We increasingly witness how especially people engaged in homosexual practices demand freedom from hearing things they disapprove of. Some of these demands have been translated into legislation, sometimes under the rubric “hate crimes”. But even in cases where obviously no law has been broken many Christians have been harassed by law enforcement for expressing their views on homosexual practices. One cannot have freedom of speech and at the same time guarantee that no-one will ever take offense or disagree. But the flawed concept of “hate crime” and the debate stopping labels “homophobia” (and “islamophobia”) makes it difficult to have an open discussion about present trends of decreasing freedom of speech and religion. This truly is beautiful ! Enjoy ! Amazing Grace performed by El Divo at the Coliseum in Rome, Italy. Whatever is going on in your life today....this should lift your spirits and inspire you. "Anyone who has willingly enlisted to fight against the enemy will tell you there is a difference between being a soldier and a warrior. There are many professional soldiers who take their jobs very seriously and are very good at what they do, but when you meet a warrior, you recognize the difference right away. Some of the church leadership is about to be transferred from the hands of professional soldiers, to the hands of true warriors, which the soldiers of the cross will all soon become. Warriors respond to the sound of the battle cry. They do not run from it. Warriors thrive on conflict and danger. Warriors are not discouraged by the oppositions and the troubles they face, but rather come alive when faced with them. This is the makeup of the emerging generation of Christians. Those who think the emerging generation of Christians is soft will be shocked by the warrior nation that is soon to be revealed. God is a warrior.... These emerging warrior Christians will have the same resolve because they will know who they are, who has sent them, and the power of the kingdom they represent. Like King David’s mighty men, who placed their faith and trust in the Lord of Hosts, their exploits will be known abroad and strike fear into the hearts of the King’s enemies. As this warrior generation emerges, it will impact and bring transformation to the body of Christ. It will be so profound that churches will start being thought of more as military bases than congregations. Serious training and the sending out of spiritual forces for unprecedented strategic maneuvers will be the order of the day. 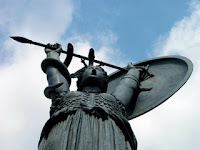 This warrior army will not be like the world’s armies, which kill, destroy, and plunder, but it will instead heal, restore, and set free those who are conquered by it. They will not come to take, but to give. The earth has never before seen such an army as the one, which will soon be released upon the earth. The call right now is going forth all over the earth to all those who would be part of it. This army will strike fear into all who are not a part of it, including many sleeping or deluded Christians. The world has never seen anything like this before. The spirit of Elijah, which was upon John the Baptist to prepare the way for the Lord the first time, is coming upon tens of thousands to prepare for the second coming. Just as all of Judea came out to see John, whole nations will come to hear and be baptized in the Holy Spirit by those who are about to be revealed. Are you ready to become a warrior in God’s Army? He promises to be with us in all we do. Won’t you take hold of his hand and let him lead you into the Kingdom Age?" "Lent is a time for grave reflection and forgiveness that leads to reconciliation and Christ-centered joy. What is the purpose of Lent? 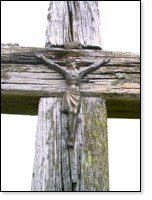 Why do we celebrate this 40-day season of fasting and prayer that begins this year on February 25 (Ash Wednesday), observes Good Friday on April 10, and concludes triumphantly on Easter Sunday, April 12? Lent is intended to resurrect our joy. Lent originally meant "springtime": the word comes from the Old English word for "spring," lencten, which came from lengan, "to make longer"—reminding us that the slow, wonderful lengthening of this season in our souls can signal an end to a winter of bitterness and the flowering of Christ's love in us. The spiritual authors below knew the fruits of Bible study and prayer. Though they never saw a YouTube video, Facebook-friended anyone, updated their Twitter status, or stepped on a Wii Fit balance board, they knew how to stay in touch with God, love others, and become spiritually sinewy. Their timeless wisdom can guide us through broadband-jungle days into a season of reflection and reconciliation, through godly sorrow into joy." In Maryland, USA, a minor can have an abortion without the knowledge and consent of her parents. But if the same child wants to have a tattoo she needs parental permission. What values are surfacing? What do we consider more important? There was an intense debate in Sweden recently about abortion. Surprisingly, though, the debate centred not on human dignity and the value of life, but on gender. It was revealed that some women chose to have an abortion due to gender of the unborn child, preferring not to give birth to a daughter. In Sweden it is uncontroversial to have an abortion if the unborn child has a defect (and some say you should). Similarly no-one will question a couple who chose to abort a child because they would rather travel than take care of a newborn. But if you mention gender as a reason in a society preoccupied with gender equality, heaven and hell break loose. Are image and looks more important than human dignity? Is gender equality more valued and than human life? I remember putting a sign on my refrigerator that said, “Frustration = works of the flesh.” God has graciously taught me that each time I feel frustrated, it is because I am taking over and trying to do something without His help. It is what His Word calls “works of the flesh”—something He hates. We honor God when we depend on Him in all things." AN EARTH-SHATTERING CALAMITY IS ABOUT TO HAPPEN. IT IS GOING TO BE SO FRIGHTENING, WE ARE ALL GOING TO TREMBLE - EVEN THE GODLIEST AMONG US." "British atheist Richard Dawkins wants to stamp out Christian faith in England. But that faith is still very much alive. 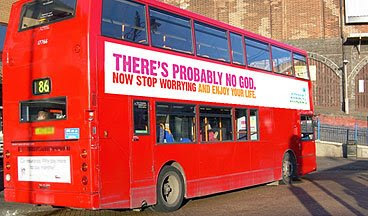 When I arrived in London last week I fully expected to see one of the city's celebrated "atheist buses" racing past Gatwick Airport on its way to Victoria Station. I had read about how Oxford University professor Richard Dawkins, author of the book The God Delusion, helped raise more than 140,000 British pounds from donors in January to plaster the city's famous double-decker buses with signs that read: "There's probably no God. Now stop worrying and enjoy your life." Dawkins, who has publicly compared religion with the smallpox virus, is quite evangelistic when it comes to his doubts. But his London bus experiment was a dud, if you ask me. Early 2009 was not a good time to mount an atheist campaign. With British banks in crisis and companies laying off workers all over the U.K., most people would prefer to believe divine help is a possibility. "There's probably no God" is a depressing message to share with anxious Londoners who are weathering the Great Recession." The former Salvation Army leaders general Paul A. Rader and Commissionar Kay F.Rader are now visiting the Nordic Leadership Development Institute in Norway. During their visit to Norway they also took time to lecture at the Oslo Univeristy. "Following the presidential election of Barack Obama, Christianity Today spoke with Blair and dozens of other leaders to assess the Bush presidency. We wanted to examine his legacy in four areas of particular concern to evangelicals: health-based foreign aid, domestic faith-based initiatives, judicial appointments, and the war in Iraq. Critics mocked Blair as "Bush's poodle." But Blair told CT that he has always considered his and Bush's views on the role of faith in foreign policy to be "essentially the same approach." "It is important that you follow through on the values you have," says Blair. "Spiritual capital is an important part of building human capital and a deep, thriving global system." "As an atheist, I truly believe that Africa needs God"
The atheist Matthew Parris wrote in an article published in The Times the 27th of december 2008:"Missionaries, not aid money, are the solution to Africa’s biggest problem - the crushing passivity of the people’s mindset. In Africa Christianity changes people’s hearts. It brings a spiritual transformation. The rebirth is real. The change is good. Now a confirmed atheist, I’ve become convinced of the enormous contribution that Christian evangelism makes in Africa: sharply distinct from the work of secular NGOs, government projects and international aid efforts. These alone will not do. Education and training alone will not do. In Africa Christianity changes people’s hearts. It brings a spiritual transformation. The rebirth is real. The change is good."